M:MK Coaching: I think you are amazing! 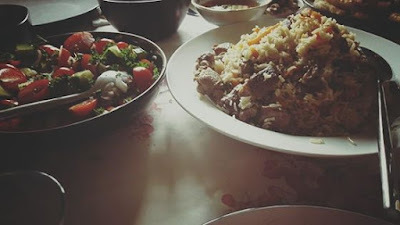 Today I was invited to a cultural woman's lunch, hosted by a fabulous Russian lady. I was introduced to food from around the world, whilst enjoying conversation about where in the world we all come from, & share our life's experiences. It was both refreshing & reassuring to know that, as woman we all have so many things in common, despite where in the world we come from. We endure the same emotional & professional challenges, we encounter the same struggles stretching our resilience. We were lots of different hats all at the same time, & become many roles to many people in our life. But most of all we do all of this, just by way of nature, nurture, & natural instinct. With a warm heart & smile on our face. It made me realise, as woman, mothers & Mumpreneurs, we really are Amazing. We are strong, we are kind, we are reliable, we are loyal, we are anchors. So if nobody has told you lately, from one woman to another. I think you are Amazing! & in all the roles you play, & all the hats you wear. You are doing a great job!